We provide Access VBA training at your offices in London, Putney, Kingston, Staines, Reading, Croydon, Leatherhead, Surrey, Reigate, Redhill, Dorking, Weybridge, Walton, Epsom, Esher, Ewell, Woking, Banstead, Ascot, Bracknell, Heathrow, Uxbridge, Ealing, Surbiton, Sunbury, Farnham, High Wycombe, Crawley, Sutton, St Albans, Fulham, Watford, etc. 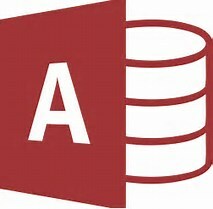 We provide Microsoft Access training courses, Microsoft Office training courses, other IT training courses and Personal Development training courses in London, Richmond, Twickenham, Kingston, Hounslow, Brentford, Putney, Kingston, Wimbledon, Walton-on-Thames, Chiswick, Teddington, Hampton, Feltham, Acton, Ealing, Heathrow, Egham, Staines, Hanwell, Sunbury, Hammersmith, Fulham, Greenford, Clapham, Chertsey, Woking, Weybridge, Wandsworth, Middlesex, Surrey, the M25 corridor, High Wycombe and beyond. We will travel further if expenses are covered.